Problem C2: Consider the object of mass m that has three springs attached to it. The two springs on the left have spring constants n1k and n2k. 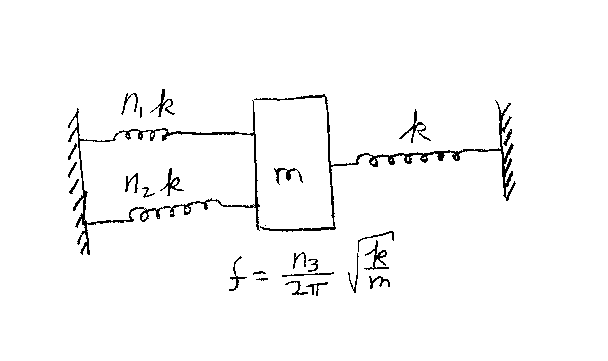 The spring on the right has spring constant k as shown in the figure below. If the frequency of oscillation of the object is f=n3 √k/m /(2 π), what is n3? Note that all integers are unitless.